I have called Dana Point home for the past 30 years, but my love for sailing began on the Atlantic Ocean. I was raised in Massachusetts. When I was twelve I built my first sailboat with my dad - a Sailfish, right out of the pages of Popular Mechanics. Built of plywood and covered in fiberglass it was very heavy and slow, but I was proud of it. After a few years of trying to get it to sail I moved up to small sailing dinghies and discovered sailing had to do with wind and not as much with bailing and swimming. Since those days in the early 60's of sailing small keel boats from Nova Scotia to my home waters of Cape Cod and the islands I have traveled the world chartering on anything I could get my hands on. I have navigated waters in Australia, Guam, British Columbia, U.S. Virgin Islands, British Virgin Islands, Bahamas, Greece, Spain, and England. I have also chartered in most of the Atlantic States and in and around the Great Lakes to the Gulf of Mexico. In the early 70's my focus turned to more performance sailing participating in both PHRF and One Design racing. I gained great respect for the intricacies of each position and nuances of what it takes to win. There is where I learned true meaning of the word teamwork. Whether it is was a Lido or the Schooner Kelpie focus was the rule. As a member of Dana West in 1994 I found my friends asking "Mike what is my boat worth?" "Mike; I'm thinking of buying a new boat what do you think?" "Hey; I have this noise, what do you think it is?" I saw an opportunity to be a benefit to the boating community. I decide to get my Sales Agents License and see how things would work-out. Well needless to say they have exceeded my wildest dreams. After a couple of years of working at a small local brokerage I decided it was time to ?? ?take the helm.??? Along with my long time friend Captain Dave Greuel, we have assembled a group of dedicated professionals. Today we have offices in Dana Point and Newport Beach staffed by Licensed Captains and seasoned professionals with expertise in all areas of the boating industry. Now as a Certified Professional Yacht Broker I welcome you to stop by any one of our locations and see what we can do for you. Captain Dave Greuel has spent his life around boats and on the water. His father was an Air Force Fighter pilot and as a child lived and attended school in the Orient. It is here that Dave’s love for the ocean began. It is also from his service back ground that he learned early the importance of integrity, accountability and respect which is the way he lives and treats his clients. One of his first jobs was working as a deckhand on the local sport fishing boats. Through high school he worked for a marine repair company learning about marine systems, engines and boat building. In 1977 he began a marine service business which is still in operation has repaired as many as 8,000 boats per year. 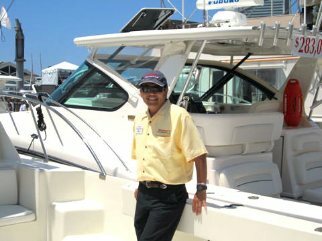 A licensed captain and avid fisherman, Dave has fished in tournaments throughout the United States, Hawaii, Venezuela and Mexico. 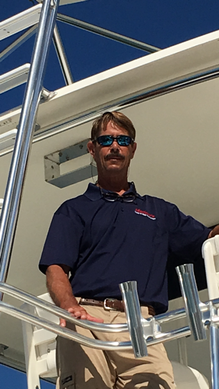 He has also completed multiple factory training programs and become certified for OMC, MerCruiser, Volvo Penta and several other gas and diesel marine engines. 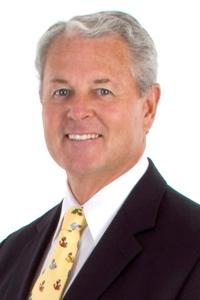 Whether, you’re buying or selling, Dave’s professional experience and mechanical background will be of great assistance with all your decisions. Born in Long Beach, CA to a sailor, I started on a Hobie Cat 16 before I could even walk. My youth was spent sailing any boat I could get my hands on, and just being in and around the water as much as possible. I spent my college years working on a Bachelor of Science in Marine Biology in San Diego, and pursued my love of sailing working on classic sailboats such as Jada (San Diego bay) and Kelpie (Dana Point). I also volunteered my time racing J-boats. At that point I was already a NAUI Divemaster, so the logical next step was to become a PADI Instructor and a 100GT USCG Licensed Captain with a sailing endorsement. After graduation, I moved to Hawaii and spent 10 years captaining various sailing/snorkeling and dive charters throughout the Hawaiian Islands. While I loved Hawaii, after 10 years it was time to move back home to Orange County. Upon returning, I have captained tours around Newport Harbor and become a licensed Salesman with Mariners Yacht and Ship Brokerage. I’m ecstatic to help others realize their dream of owning a boat, whether it be power or sail. Bob has been involved in the boating industry for the last 35 years, he is an avid fisherman owning several boats over the years. 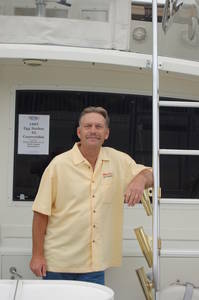 Bob has been selling boats for 17 years specializing in Sportfishers and power boats of all types. Bob has also sold many sailboats from 26 to 50 feet and will work very hard to find you the perfect boat, or list your boat for sale. As a 10 old in Connecticut, my introduction to boating came in the form of being dad’s first mate. Keeping our 17 foot wooden lapstreak in seaworthy condition was our first order of business and it provided me with my first boating experiences. In those days my family would fish the waters of Long Island and I soon developed a love for boating and fishing. At 18 my first boating job was as a first mate on a fishing boat based in Marathon Key Florida, and that led to my first captain’s position a few years later. After marriage and moving to the Pacific Northwest I began working as a private "snowbird captain" ( summers up north, winters in Mexico) and did yacht delivery’s both north and south. Exploring the waters of the Sea of Cortez with my wife and two children became our favorite way to spend our free time and we would return again and again to this water paradise. Time in Mexico is the best education you can get when learning how to get things done here and it has become my specialty. As a resident of Cabo San Lucas working in Yacht sales and management I reach back to those old lessons and contacts often. I also very much enjoy helping people get the most out of boating and finding the boat that fits their intended use. Working with Mariners yachts allows me to offer my clients the professional services only an established brokerage can, and I am proud to be on their sales team as agent for Los Cabos Mexico. I am familiar with being the "point man" for my clients well after sales, providing reassuring contact and problem solving on a local basis. So if your goal is to buy or sell a yacht in Cabo, give us a call and experience what we call quiet professionalism. Ron started his boating career when his father dropped him off one summer at the sportfishing landing in San Diego. Little did he know he would spend the entire summer working on a charter boat as a deckhand. He recalls his first experience trying to jump off the boat to secure the stern, "I missed the dock and landed in between the boat and dock, I jumped out of the water so fast I don't think my hair got wet!" From then on its been a passion. He learned seamanship and navigation from Orange Coast College and spent summers as a sailing instructor in Newport Beach. "I learned to fix boats when my dad bought a small Glaspar runabout, it had a 35hp motor that didn't work. I took it apart and rebuilt just about everything, I remember taking it out for a test drive in the back bay, in those days no one cared if you ran it wide open back in the marsh. Good times!" Ron earned his Coast Guard Master's License and ran charters and deliveries on the west coast, his favorite destination is La Paz, BCS. "I enjoy the slower pace of La Paz over Cabo, but the fishing is still incredible. There's so much to do there, it's now becoming a world class destination, as Cousteau proclaimed 'the aquarium of the world'." 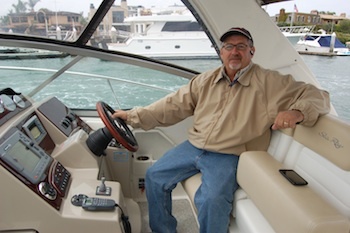 Now an active member of the United States Coast Guard Auxiliary and working at Mariners to assist boaters with their dreams from small to large, Ron has experience in all vessel types and sizes. "I think it's important to listen to the Customer, whether buying or selling as a professional to help them with their needs. I look forward to working with people, using my experience to make their experience as pleasant as possible. " Ron adds, "I remember years ago, I bought and sold 4 boats in 5 years, that probably wasn't the smartest thing I've done, I wish someone would have listened to what I really was looking for, I could have avoided a few of those boats. But it was still a lot of fun!" Born in Southern California and raised in Newport Beach, boating has always been a big part of my life. My first job on a boat was polishing the brass portholes of a classic yawl at age 11. I started sailing at 14 and now have personal knowledge of every facet of boating with 40,000 NM of blue water cruising on both sail and power boats up to and including 900’ aircraft carriers while I was a Navy fighter pilot for 12 years. I have raced in numerous one-design boats, went to the ‘72 Olympic trials in the Soling Class and have been in numerous Trans-Pacific and Atlantic races. I was also a Commercial airline pilot for Western and Delta Airlines. As a yacht broker with over 40 years of experience, I have sold boats to struggling newly-weds, movie stars and Kings. I have been involved with sales of new boats from New Zealand to Europe and brokerage boats all over the world. It is my goal to make each client comfortable and proud of his new boat, whether it is 30’ or 300’, and to help them make their future boating experience an enjoyable adventure. I joined the sailing club around the same time. It was a small club and we only had a few boats so we had to take turns. I can still remember standing on the beach with so much excitement, waiting my turn to get out on one of those little lasers. In fact, my first real job was on the “Paullu,” Paul Whitter Sr.'s 124' yacht. And yes Whitter as in Whitter, California. Should have seen her, she was beautiful. I worked at the cannery my teenage years, on and around fishing boats and countless hours down at the port trying to make a buck washing boats or hauling stuff up and down the docks for locals and tourists. I've always lived around the water - whether it be on the Big Island of Hawaii where I became a PADI Dive Master, or when I was living in the Caribbean bouncing around from Puerto Rico to Miami to the Bahamas working on a 40 person Swath Technology live aboard dive boat where we would do one-week itineraries. Want to look up something cool, Google “swath technology Nekton Fleet.” I’ve also lived up and down the coast of California, and I went to the Maritime Academy in San Diego where I passed my 100 ton captains license. I guess the moral of this bio is that I'm a hard worker and I know boats. You put those two together and I guarantee I can get you top dollar for your vessel or find you the exact boat you’re looking for. Thank you and I look forward to working with you! Dave was born in Washington DC. Raised in the Chesapeake Bay area around Annapolis Md. His first memory of boats was a place called The Old Wharf in south west Washington DC along the Potomac River where shrimp, oyster and fishing boats would sell their fresh catch from the bay along the commercial docks with sea food restaurants nearby. He knew at that moment boats and fishing were going to be a big part of his life. Most summers were spent at his grandparent’s cottage on the bay catching big blue claw crab and fishing. The end of summer was spent on to his uncle’s farm in West Virginia digging potatoes, vegetables and fruit to be canned by his grand mother and mom for the winter ahead. His first boat was a 37’ power boat built in 1937 on the Eastern Shore of Maryland. That would be his home for the next several years, where his daughter and he fished every inch of the Chesapeake Bay. Later on venturing to Ocean City and Wildwood, New Jersey shores to fish offshore, then south to the outer banks of Virginia and North Carolina. In 1980 Dave accepted a position with Southern Ca Edison Company in Santa Monica Ca He purchased a new fishing boat and docked in Dana Point. 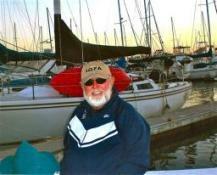 In 1982 Dave met his wife Brenda and together they have cruised and fished their boats from Catalina south into Mexico. He enjoys spending time with his wife and step son, Jamie. Jamie spent four years with the USA Men’s Volleyball Team coaching staff, bringing home the gold from 2008 Beijing Olympics. He transferred to the USA Womens Volleyball Team. We attended the 2012 Olympics in London where the USA Women’s Volleyball Team brought home the silver! Jamie has accepted a position on the coaching staff with UCI Irvine. Dave has traveled and fished boats from the Gulf Coast of the USA and Mexico to Roatan Honduras on the Atlantic side and Pacific Ocean from Dana Point south through Mexico and every port through Costa Rica. Favorite place to fish and relax is Hualtulco Mexico and Flamingo Bay, Costa Rica. 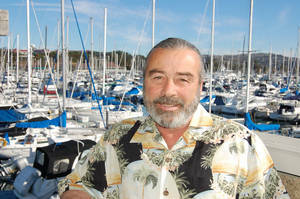 In 1996 Dave retired from The Edison Co with 36 years of experience in the electrical field and started his own business Yacht Ready Consultants. 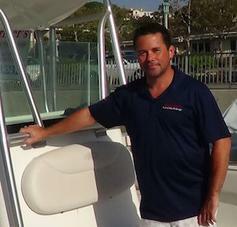 Working with Mariners Yachts specializing in sport fishing boats is a natural fit for Dave. Mariners Yachts is pleased to be working with Dave to fill all of our clients needs. Born in "Land Locked" Alberta Canada I could only read about the ocean and Sailing. As a child the earliest books I can remember reading were Kon Tiki by Thor Heyerdahl. This book was about an explorer and his team sailing a hand built raft from South America to the Society Islands and then (Robin Graham) who wrote the book "Dove" who circumnavigated the world on a 24' sailboat at sixteen years old. My father grew tired of the Canadian cold and moved our family to Santa Barbara where I began my love affair with the ocean. I started on a surfboard and evolved into sailing and racing Lasers and Hobie Cats. After finishing school, I was able to purchase my own small sailboat and explore our southern California coast and Islands. Now, after years of sailing and advanced sailing classes (as well as owning power boats) I still love the ocean as much as I did as a child. Working with Mariners Yachts has been a rewarding experience as well as a joy to be a part of their sales team. It has allowed me to share in the delight and excitement of locating and purchasing the dream yacht for clients as well as selling beautiful yachts. Please stop by and let's see what we can do for you.